Have you ever wondered what Mormons believe? What Mormons do on Sundays? 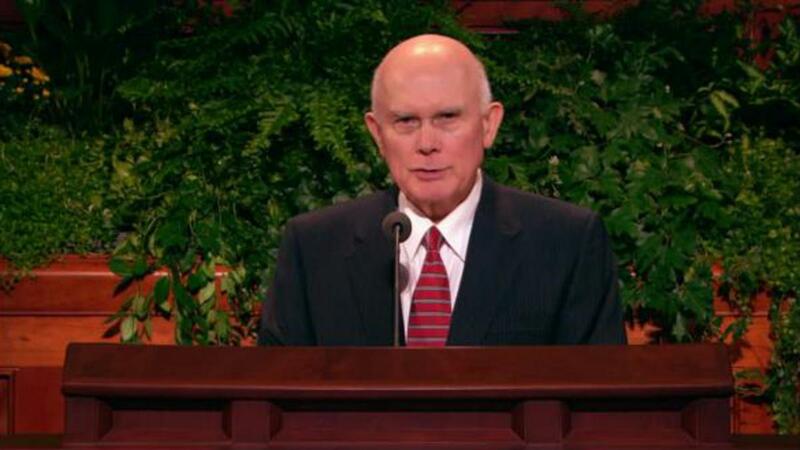 Or what a Latter-day Saint sacrament meeting is? Each Sunday, members of The Church of Jesus Christ of Latter-day Saints gather together in a meeting to partake of the holy sacrament. Sacrament meeting is a time for members of Christ’s Church to gather together in worship, but also a time for deep personal reflection and introspection. What do Mormons believe about the sacrament? The most important part of sacrament meeting is the ordinance of the sacrament. Mormons believe that the sacrament contains two essential parts: the bread and the water. 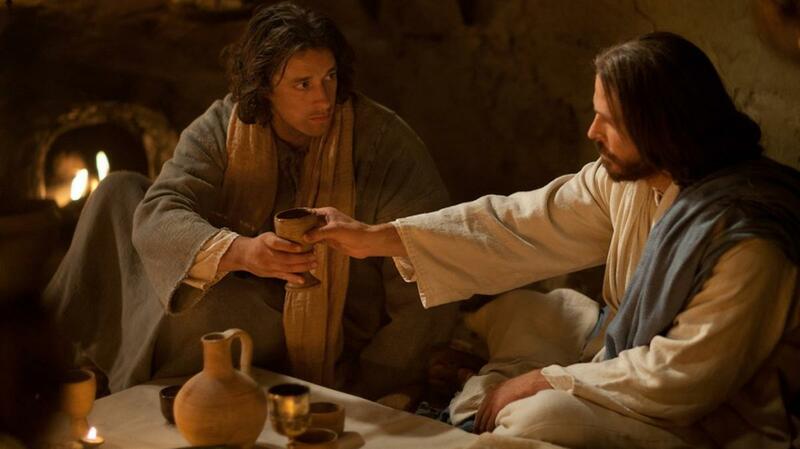 Just before His death, Jesus Christ Himself taught His disciples about the importance of the sacrament. He taught that the bread represents His body and the water represents the blood He shed for us. The scriptures teach that “Jesus took bread, and blessed it, and brake it, and gave it to the disciples, and said, Take, eat; this is my body. And he took the cup, and gave thanks, and gave it to them, saying, Drink ye all of it; For this is my blood of the new testament, which is shed for many for the remission of sins” (Matthew 26:26–28). Latter-day Saints believe that the bread and water are not literally the body and blood of Christ, but powerful, symbolic reminders of His sacrifice for us. For Latter-day Saints, partaking of the sacrament is one of the most sacred and special moments of the week. Worthy young men who hold God’s holy priesthood say a special prayer over the broken bread. 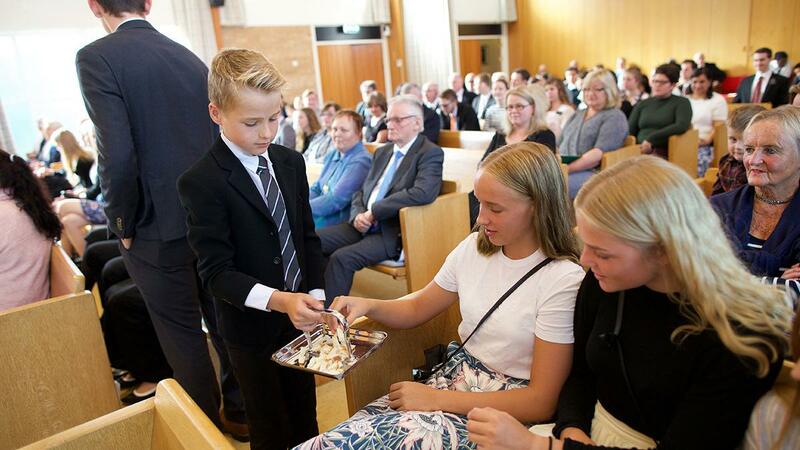 The blessed bread is passed around on trays so that each member of the congregation may have a chance to partake of it. The same process is repeated as the water is blessed and passed. During the passing of the sacrament, Church members have the opportunity to reflect on their relationship with God, ponder Jesus Christ’s sacrifice for them, and commit to improve their lives. What else happens during a Latter-day Saint sacrament meeting? 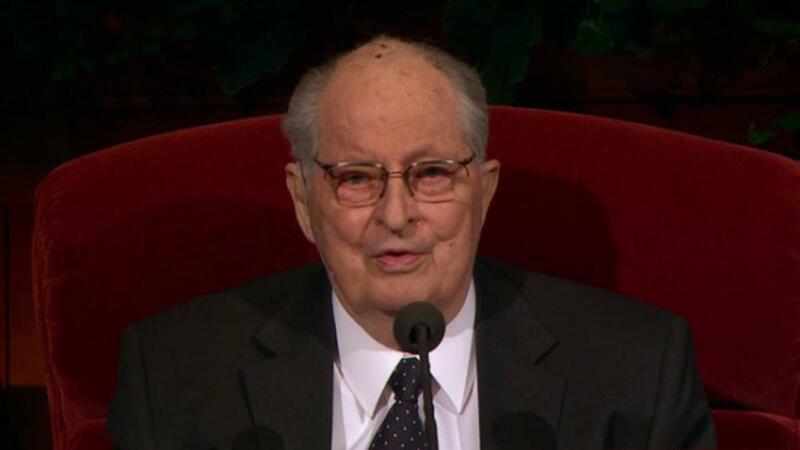 Latter-day Saint sacrament meetings are typically conducted by a bishop, who is the unpaid leader of a congregation, or one of his counselors. Several members of the congregation are typically asked to come prepared to share remarks on an assigned topic, but no one is required to participate. 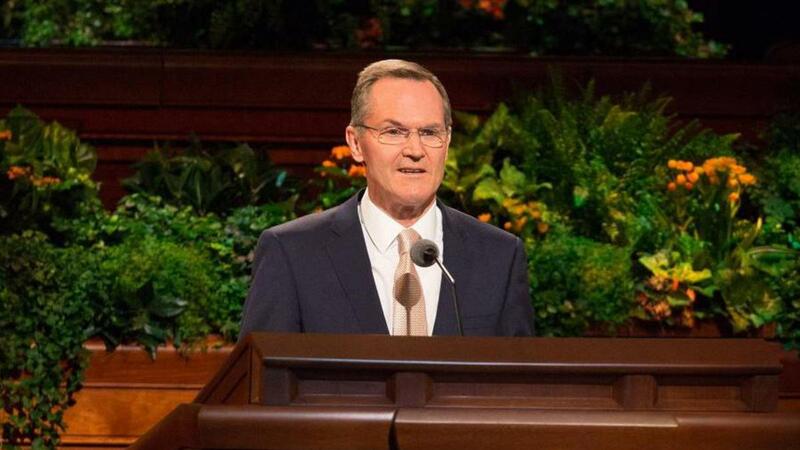 Once a month, a special “fast and testimony” meeting is held in which members come to sacrament meeting fasting and any member of the congregation is welcome to share his or her thoughts and testimony about Jesus Christ and His gospel. Latter-day Saints also believe that music is an important part of sacrament meetings. Hymns are typically sung at the beginning and end of sacrament meeting, and preceding the blessing of the sacrament. Occasionally, a choir or a member of the congregation will perform a special musical number. Mormons believe that sacred music invites the Holy Spirit to be present in the meeting and that “the song of the righteous is a prayer unto [God]” (D&C 25:12). How can I learn more about Latter-day Saint sacrament meetings? The best way to learn more about what Mormons believe and what happens during a Latter-day Saint sacrament meeting is to experience a sacrament meeting for yourself! Visitors are always welcome. To find out when and where sacrament meetings are held in your area, visit mormon.org. Consider five ways to increase the impact and power of our regular participation in the sacred ordinance of the sacrament. We become converted and spiritually self-reliant as we prayerfully live our covenants. The ordinance of the sacrament makes the sacrament meeting the most sacred and important meeting in the Church.